A renewed attempt should be made to implement the three language formula. Children's mother tongues, including tribal languages should be considered as the best medium of instruction. Proficiency in multiple languages including English should be encouraged in children. Reading should be emphasized throughout the primary classes. Culture and language are intermingled. 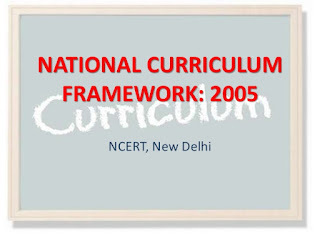 NCF 2005 advocates an interdisciplinary approach. However, teachers of different subjects do not discuss these matters. Language can relate all the subjects, as it is the heart of education so is the heart of children. Centrality of language, and achieving it would be a great milestone. The three-language formula is an attempt to address the challenges and opportunities of the linguistic situation in India. The primary aim of the formula is to promote multilingualism and national harmony. Primary school education must be covered through the home language(s). It is imperative that we honour the child's home language(s). According to Article 350A of our Constitution, 'It shall be the endeavour of every State and of every local authority within the State to provide adequate facilities for instruction in the mother tongue at the primary stage of education to children belonging to linguistic minority groups." In the non-Hindi speaking states, children learn Hindi. In the case of Hindi speaking states, children learn a language not spoken in their area. Sanskrit may also be studied as a modern Indian language in addition to these languages. Care must be taken to honour and respect the child's home languages / mother tongues. At the primary stage, child's language(s) must be accepted as they are, with no attempt to correct them. It is known that errors are a necessary part of the process of learning and that children will correct themselves only when they are ready to. We have to spend time by providing children comprehensible, interesting and challenging inputs. While children come to school equipped with basic interpersonal communicative skills, they need to acquire cognitively advanced levels of language proficiency. In addition, higher-level proficiency skills easily transfer from one language to another. It is thus imperative that we do everything we can to strengthen the sustained learning of Indian languages at school. The goals for second language curriculum are two fold: attainment of a basic proficiency such as is acquired in natural language learning and the development of language into an instrument for abstract thought and knowledge acquisition through literacy Improving linguistic skills in one language improves it in others, while reading failure in one's own languages adversely affects second language reading. Other Indian languages need to be valorized to reduce the perceived hegemony of English. A child acquires his / her home language, naturally through larger kinship groups, street and neighbourhood and societal environment. Children are born with an innate language facility, and research has shown that Indians have a flair for languages. (domestic help, multilingual beggars, tsunami spoilers, spelling bees, scrabble)They internalize an extremely complex system of language before they come to school. They come armed with 2/3 languages of which we do not make use, we do not exploit them. Languages provide a bank of memories and symbols inherited from fellow speakers and created in their own lifetime. It is a medium through which knowledge is constructed. Language is identity. Let us first recognize this inbuilt language potential of our children as well as remember that languages get socio culturally constructed and change our daily lives. There is a difference between dialect and language. Similarly, the language spoken at home is different from the one spoken in the school, which is usually the standard language, though there is much give and take between the two. For instance, standard Hindi has been derived from Khari Boli. Sometimes, the converse is also true, Avadhi, Brij, Maithili, Bhojpuri were fully developed languages once, now they are dialects. Whenever the child enters the school in his / her locality it is assumed that his/her first language, or mother tongue is the one spoken in the school, which may not always be true. Therefore, the child is educated in the standard form of the language. In such a situation the child is placed in a dilemma as to which language is to be used or which one is correct. At home, e.g., the student may use Brij, but in the school he / she learns standard Hindi, which is different. Other subjects taught through the medium of Hindi also use its standard form. A creative language teacher must use multilingualism, a typical feature of the Indian linguistic landscape, as a classroom strategy and a goal. This is also a way of ensuring that every child feels secure and accepted, and that no one is left behind on account of his / her linguistic background. Language subsumes multilingualism / bilingualism. Multilingualism - where each language is assigned its own distinctive societal functions - may be the wave of the future. The Constitution of India perceives multilingualism as a resource. We should talk about medium of education instead of medium of instruction. The need is to explore the role of language in education and the role of language in a child's life, since language is not content, but language gives life to content. Studies have shown that bilingual or multilingual people are capable of greater cognitive flexibility and creativity, and perform better academically than monolinguals. Polyglots may be polymaths as well. Perhaps it is the ability to switch codes that comes from knowing more than one language. Bilingualism / multilingualism confer definite cognitive advantages. Languages would ideally build on this resource, and would strive it through the development of literacy scripts including Braille for the acquisition of academic knowledge. Children with language-related impairments might be introduced to standard sign languages, which can support their continued growth and development to the fullest. Studying sign language and Braille could be included as options for learners without disabilities. Stories, poems, songs and drama link children to their cultural heritage and give them an opportunity to understand their own experiences and to develop sensitivity to others. Fantasy and mystery play an important role in a child's development. As a sector of language learning, listening also needs to be enriched with the help of music, which includes folk, classical and popular compositions. Folklore and music deserve a place in the language textbook as discourses capable of being developed with the help of exercises and activities unique to them. Language education is not confined to the language classroom. A science, social science or mathematics class is ipso facto a language class. Such a policy of languages across the curriculum will foster genuine multilingualism in the school. It is important to view language education as everybody's concern at school and not as a responsibility of the language teacher alone. Many students who have to switch over to English, having had their earlier education through their mother tongues face barriers of language.. Teachers would be doing them a service by being bilingual to some extent for the first few weeks. Teachers should make themselves aware of their students' first language or mother tongue so that in times of difficulty they can explain to the students in a simple and comprehensible language, may be mother tongue. Teachers of other subjects such as History, Economics, Physics, Botany, etc. should also have knowledge of the dialect spoken around their area. Students may be corrected in an unobtrusive manner, not authoritatively. A proper atmosphere in the classroom should be created even for teaching the mother tongue or the first language. By talking to students outside the classroom on topics other than the text or the school, students will take to the standard language and understand the subtle difference between home language and school / standard language. Language thus learnt will go a long way in helping the students not only with the language but also with other subjects as well. They will also be able to use the language outside the classroom, in the society with confidence without the teacher, thus fulfilling the basic purpose of language. 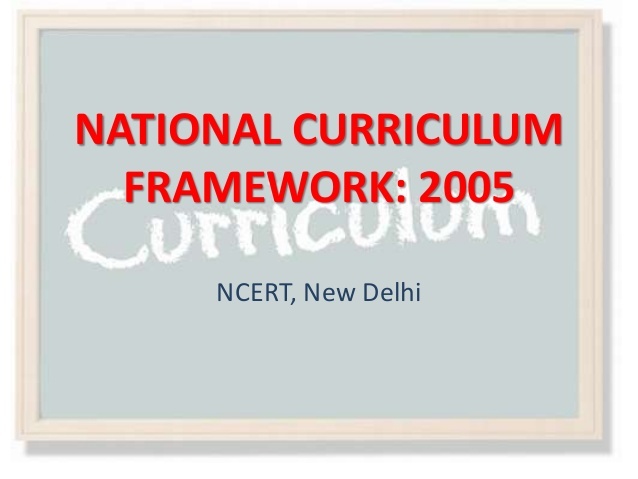 Therefore, a language across the curriculum approach is required. This brings down the barriers between English and other subjects, and other Indian languages. All learning, it must be emphasized occurs through language. English does not stand-alone. The aim of English teaching is the creation of multilinguals who can enrich all our languages which has been an abiding national vision. Input rich communicational environments are a prerequisite for language learning, whether first or second. Inputs include textbooks, learner chosen texts and class libraries allowing for a variety of genres. The language environment of disadvantaged learners needs to be enriched by developing schools into community learning centres. All teachers who teach English should have basic proficiency in English. Language evaluation need not be tied to achievement with respect to particular syllabi, but must be reoriented to the measurement of language proficiency. Ongoing assessment could document a learner's progress through the portfolio mode National benchmarks for English language proficiency would help greatly in achieving certain basic standards. English is perceived to open up opportunities. A student may be allowed to 'pass without English' if an alternative route for English certification (and therefore instruction) can be provided outside the regular school curriculum. The transfer of skills could be achieved from one language to another. In this context the objective of teaching languages is not simply to make the students learn language skills but to enable them to play their communicative roles effectively and select languages from their linguistic repertoire and within those chosen, select registers and styles, befitting the roles they are playing. The revival of Sanskrit is a kind of reverse sanskritisation - an attempt to hold people back in cultural ghettoes while Indians aspire to globalise themelves. This hardly makes economic sense. Indian teachers are being recruited for jobs abroad. Hence learning Japanese, German, Chinese, French, Spanish would be as fruitful, productive and revenue oriented, as was the learning of English earlier. In the state of Orissa of late there has been a demand for the introduction of tribal languages. Since the inclusion of Santhali in the 8th Schedule, now Ol-Chiki is the language many tribals want included in the curriculum, along with its script, particularly in the districts of Mayurbhanj, Keonjhar, Balasore and Sundargarh. There is also a demand for the setting up a Santhali Academy on the lines of the Urdu Academy. Agreed, that languages have to be life sustaining. However, pulls of a different kind also exist. In severe contrast, we have compelling authority, mobility, power, and exploitation. The fate of Urdu is much the same. Urdu has to be kept alive in the schools. However, the conditions of Urdu medium schools and Urdu textbooks are abysmally low; textbooks are available only late in the school session. The ever falling results of Indian Urdu schools shows the teachers', parents' and students' confusion. The low results in Urdu schools are indicative of the incoherence and lack of coordination among the managing bodies and stakeholders. Spoken throughout the country in pockets, Urdu does not belong to any particular region, though it is a second language in some states, and as is well known keeps its diglossic function. Its falling standards need urgent attention. A language does not prosper through TV channels alone but by the people who use it. Therefore, in the context of languages and the changes taking place in society and education, every teacher would do well to introspect and reflect on his / her teaching, with particular attention to languages being used. How do they experience my teaching? Do they easily understand my language? Do I use too many technical words? Do I follow known conventions of language? What are the consequences of my language abilities on the students? How is my tone in the language? Do I maintain the rhythm of the language? What sort of change do I see as fit for my own teaching? Will my teaching improve with better fluency and appropriate use of language? The right to choose any language is fundamental for searching for and earning the right to livelihood. More so in a globalised world, whose opportunities are to be availed of with the skills one possesses, may be, as language teachers. For instance, the culture of the English speaking may be dominant but English is no longer a political instrument of the downtrodden. Today proficiency in the language is a skill, liquid assets and financial gains for educators in India and abroad. Language as a constellation of skills, thought encoders and markers of identity cuts across school subjects and disciplines. Language has to be maintained as a marketable skill. And therefore, he / she who can will talk his / her way in a world of global opportunities.